We are naturally concerned about the industrialisation of this beautiful area and the damage this project would do to our local economy. However there are national issues here. This is a project which would destroy the Manacles Marine Conservation Zone. The legal status of a Marine Conservation Zone has not yet been tested. 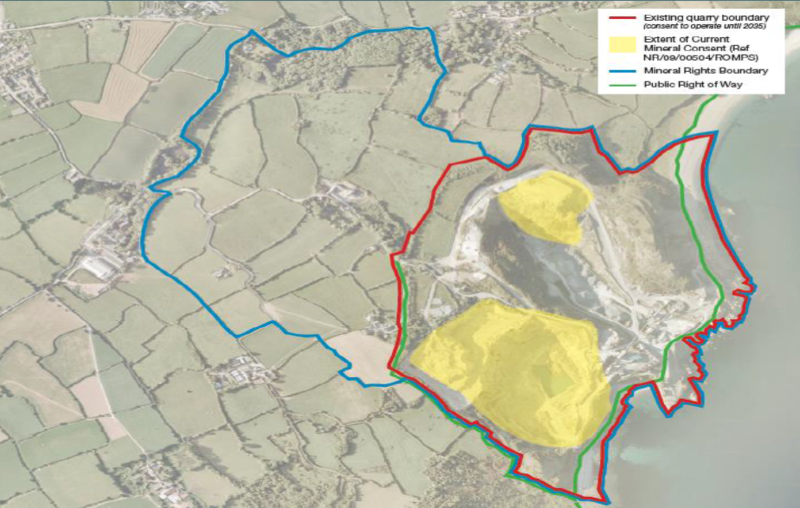 The outcome of the situation at Dean Quarry and the impact on the Manacles Marine Conservation Zone will set a precedents as to the legal status of all current and future Marine Conservation Zones. As a nation we need to decide if we are serious about conservation or does it only apply to developing countries with endangered species. Our endangered species may not be as dramatic or have caught the publics attention in quiet the same way. They are however extraordinary in their beauty and importance. 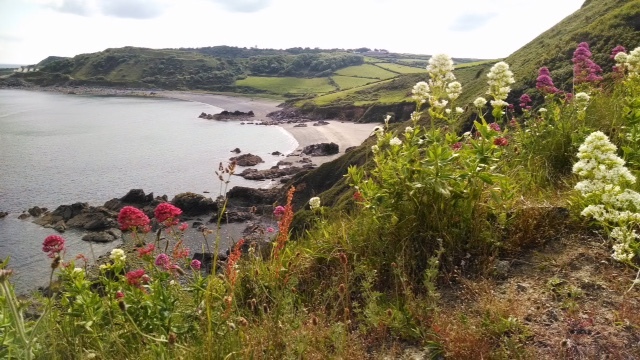 The project will damage and limit access to the South West Coast path, impact on AONBs, SSSI, SAC and sites of archaeological interest. This development is to provide rock for the Tidal Lagoon in Swansea. This is a green initiative, allowing tidal power to be harnessed so surely this is good for the environment? CADS2015 fully supports responsible green initiatives. However, we should not seek to industrialise an area that has sustainable, low impact industries, both on land and sea, based on the quality of its environment. There are other established quarries with sound environmental credentials which can provide the stone for this project. Most importantly this development WILL have a negative impact on the Manacles Marine Conservation Zone along with future damage from quarry run off and shipping pollution. Will this development provide lots more jobs for the local community? This is extremely unlikely. The local community does not have an abundance of engineers looking for work and it is therefore more probable that the engineering expertise and highly skilled roles will be bought in from elsewhere. Figures from Shire Oak documents report the creation of 8 full time jobs. These would be offset by at least 100 jobs that would be lost by direct damage to the tourism, fishing, farming and food production industries in the area. House prices would also be affected, putting the local residents in a worse financial position. The rock extracted will only supply one Tidal Lagoon so surely it will only be for a maximum of five years. Why did they buy these extended mineral rights? Even if this were true, five years of this industrialisation will already decimate the local community and its thriving industries. It is also unlikely that this is the full story. Mark Shorrock is CEO of both Shire Oak Energy (the quarry company) and Tidal Lagoon Plc. 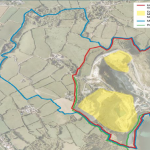 Tidal Lagoon Plc are actively looking at a minimum of five other tidal lagoon sites and it would clearly be advantageous for Mark Shorrock to have one of his own companies supplying the stone for his many tidal lagoon schemes. It is likely that, having got permission for the 600m jetty that they are proposing (directly through a Marine Conservation Zone) that they will extend this and continue to extract rock from here for their other projects. This is exactly what happened at Glensanda Super Quarry. This has happened in other areas, what makes this different? This has indeed sadly happened in other beautiful areas. However, there are three well established coastal super quarries on the western seaboard of Northern Europe and Glensanda in Scotland is 7 miles away from even the nearest road. The two in Norway quarries have been supplying Europe for over 100 years. If this development was to go ahead, it would end up within 300 metres of local houses. Our local primary school will be within less than a mile of the quarry and our children will be inhaling silica into their lungs. The proposals are out of scale with our environment. Without an owner obliged to carryout restitution of the quarry, what will happen to the quarry? Sea fisheries (hatcheries or shore based fish farms); Mountain biking, 4 x4 trails, Adventure centre, SSSI information centre and MCZ information centre. There are numerous sustainable and appropriate businesses which could take advantage of this site. We call on Mr Shorrock to admit he was mis-informed about the suitability of this site and as a gesture of goodwill donate the quarry and mineral rights to the community for community benefit. Here is our Response to Shire Oak’s FAQs. Should the UK be funding the world’s first tidal lagoons?